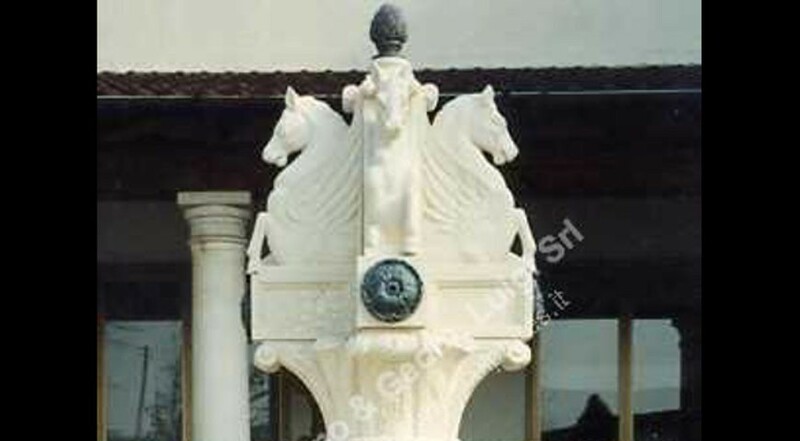 A large one tier stone fountain, with 4 horses on top (water jet inside the large round bowl). Nice base with leaves decorations detail. Around the horses 4 bronze rosette also these elements are water spout. On the top a bronze pigna. On the base carved number 4 allegoric masks (water spouts). Possibility to put a coping around in any design.